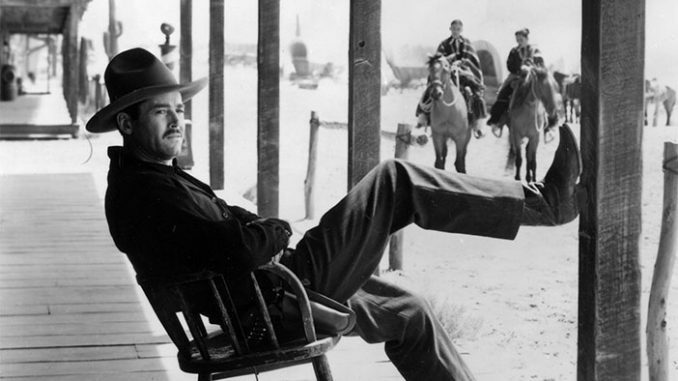 Orson Welles once said, “I prefer the old masters; by which I mean John Ford, John Ford and John Ford.” My Darling Clementine is considered the director’s crowning achievement, and was one of the first 75 films ever entered into the National Film Registry. It’s also on the top of almost every (credible) critic’s list, and for good reason. All of the director’s signature ingredients are well represented, (even his penchant for comedy) but none if it out shines any other element. 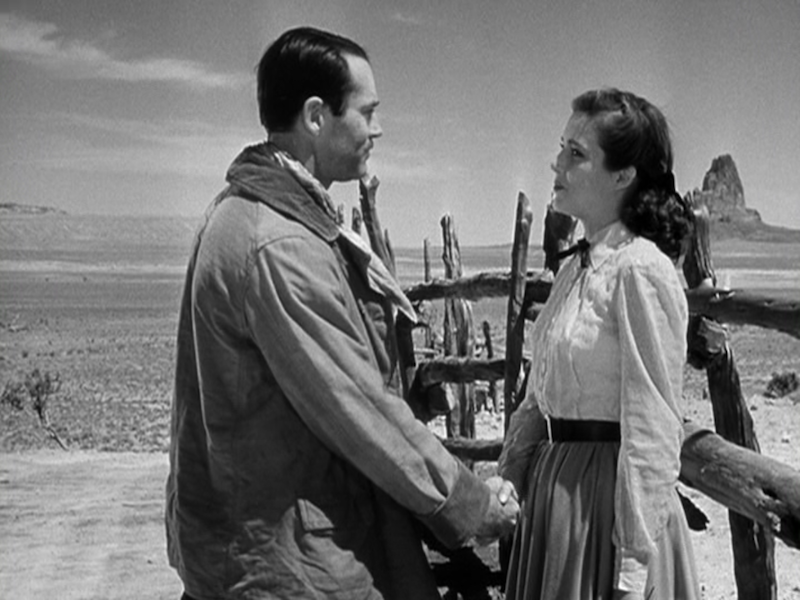 It’s a surprisingly quiet, meditative, powerful piece, with Henry Fonda, Victor Mature and even Linda Darnell giving arguably the best performances of their careers. There’s also the usual stable of Ford regulars, like Ward Bond, to keep the “Ford Western Ethos” true. 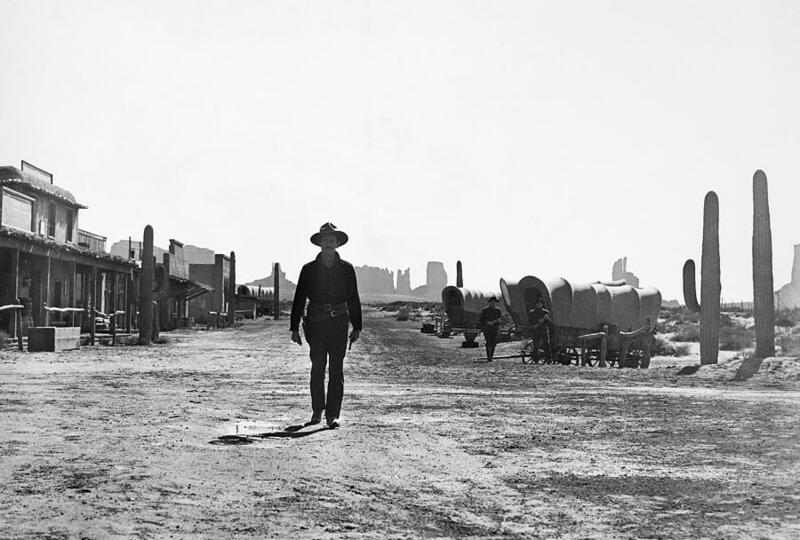 And while some could argue that The Searchers is the greater work of art, for pure multilayered and constructed entertainment, My Darling Clementine is possibly one of the greatest films of all time. The first and best dramatization of the fabled Gunfight at the OK Corral, My Darling Clementine follows the exploits of Wyatt Earp (Henry Fonda) and his three brothers (Ward Bond, Tim Holt and Don Garner) as they transition from cattlemen to Marshall and Deputies of Tombstone. 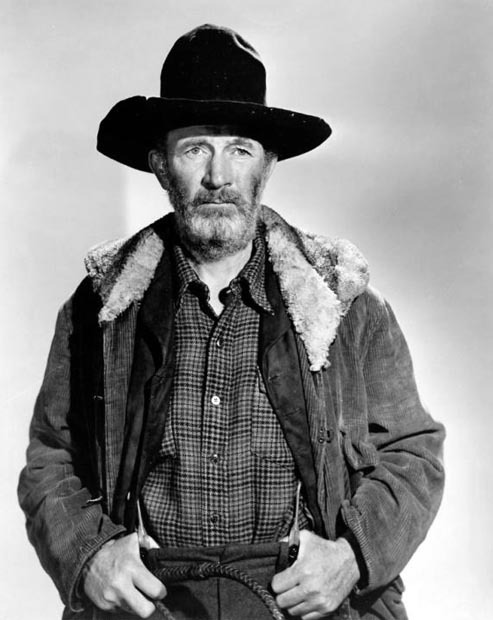 While working the trail, Wyatt comes across Old Man Clanton (a furiously wonderful Walter Brennan) who, like a wolf in sheep’s clothing, tries to purchase the herd from him, but Earp already has a contract to drive the steer to California. Clanton urges Earp to check out Tombstone, so he and his brothers can unwind and relax. The three leave the youngest, James, to watch over the herd while they go into town for a shave and a drink. Upon their return, the Earps discover their brother dead, and the cattle rustled away. With a heart full of vengeance, but a measured brain for investigation, Wyatt decides to take the town’s mayor up on his offer to become the Marshall of Tombstone. Earp’s reputation precedes him, as he was already known as “the man who cleaned up Dodge City.” (You probably always wondered where the phrase “Get out of Dodge” originated. It was supposedly a saying Wyatt Earp famously threatened ad infinitum). Just hearing Wyatt Earp’s name and the sight of his two brothers causes men to loosen their gun grips (and undoubtedly, their bowels). Wyatt is an interesting Marshall. He’s not on a mission to “clean up the town,” he’s more of a “live and let live” lawman. The town is “unofficially” run by Doc Holliday (Victor Mature, at his tortured best), a onetime surgeon turned gambler who suffers from both tuberculosis and a horrible temper. He and Earp form an unusual alliance (you could almost call it a “bromance” by today’s standards) predicated on respect and admiration. The arrival of Clementine Carter on the stagecoach sets everything in motion. Earp is taken with her beauty and purity, but she’s actually in town after a long search for Holliday. Holliday is upset to see “Clem,” she was his fiancée when he left Boston under questionable circumstances, most likely due to his contracting TB. She sees he’s fallen onto harsh, alcohol drenched times, and tries to convince him to return to Boston with her. Instead, he goes on a major bender, forcing Earp to knock him unconscious and haul him off to bed. 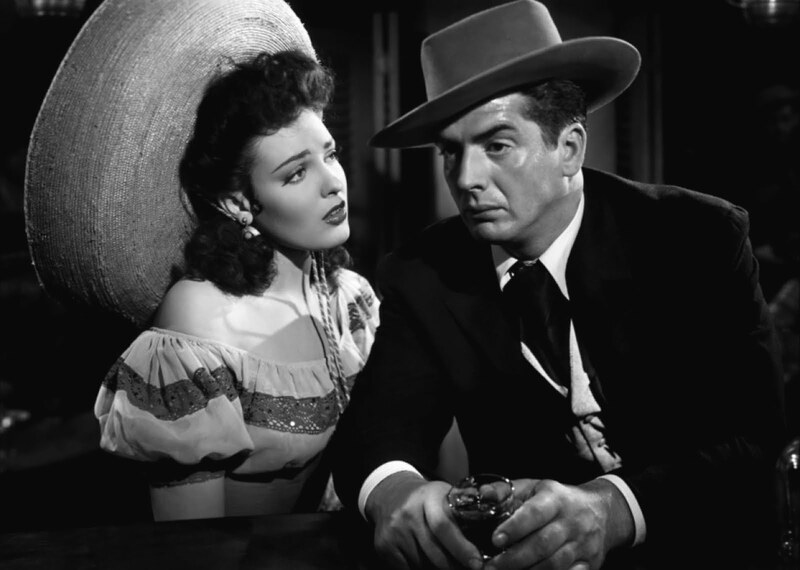 Chihuahua (Linda Darnell) , the Mexican saloon singer (yes, her name is Chihuahua) is in love with Doc and does everything she can to rid him of Clementine. When Doc rejects her, she seeks solace in the arms of one of the Clantons. Doc and Earp confront Chihuahua about a necklace she’s begun wearing which belonged to brother James, stolen the night he was murdered. This all sets up the Earp/Clanton feud, leading to an explosive and tragic finish. There’s so much to love about this film that the plot summarization does it absolutely no justice. When you talk about tone, mood, and setting, you’re talking about John Ford. His beautiful use of Monument Valley, later nicknamed “Ford’s Monument Valley,” as the backdrop to this, and many of his westerns, redefined what the American frontier looked like to the country, if not the rest of the world. 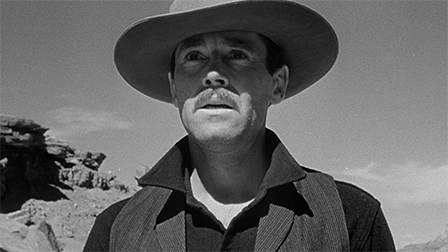 The skillful performance by Henry Fonda, one of the most subtle of actors from the golden age of cinema, the grit and dirt and dust that Ford is able to somehow transmit through the lens, the spare yet poignant soundtrack, pregnant with powerful silences; these are just some of the riches of My Darling Clementine. Other than the wooden performance by actress Cathy Downs as Clementine (a Vogue cover model brought to Hollywood, she had an unremarkable career befitting her skill level) everything else in the film is perfection. So it is a deliciously sordid point of contention that 20th Century Fox studio head Darryl F. Zanuck found fault with the film prior to its release. Now The Criterion Collection has released the seminal edition of My Darling Clementine that offers up not just the original theatrical version, but also the reputed Director’s Cut, so you can play detective and determine which is the better film. 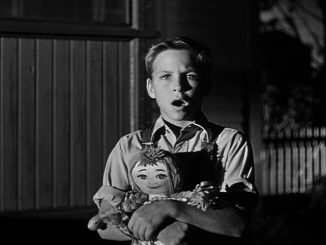 The story goes that in July 1946, just three months before its scheduled release, Producer Zanuck was concerned when he saw the director’s cut. At the time, Ford had only directed one official “western” (we’re talking sound) prior to Clementine, which was the genre defining Stagecoach. Today it sounds downright absurd that anyone would question Ford’s choices, especially when it came to a western, but Zanuck had invested $2 million into the film (a huge sum by 1946 standards), and decided changes needed to be made. The director’s cut has been lost to time, so it, of course, has become a thing of legend among Ford fans and scholars. In fact, Ford’s version ran more than 30 minutes longer. Zanuck wanted the whole film tightened; demanded some reshoots, as well as a recut of some of the scenes that would result in less ambiguity. He enlisted composer Cyril Mockridge to add several more music cues that strongly imply (as many films of the 40s) exactly what the audience should be feeling. Zanuck’s changes were not to Ford’s liking, but these were the days of complete studio control. Even though Zanuck had produced Ford’s successful (and legendary) films The Grapes of Wrath (1940) and How Green Was My Valley (1941), Zanucks tampering resulted in Ford leaving 20th Century for good. Since both films are available, both are essential viewing for any film lover, and they will definitely cause furious debate. Personally, I’m a purist, and prefer the “restoration” of Ford’s original film. Film preservationist Robert Gitt has done a stellar job, and the collection includes an indispensible comparison of the two versions. Along with the restored and spare soundtrack of the original, Gitts has dug up alternate takes and extra scenes that do a greater job of establishing several characters’ motivations. But the most shocking change is an exchange between Earp and Clementine that Ford kept purposefully ambiguous, and Zanuck had reshot. Whichever version you prefer, they are both magnificent. The DVD extras include, along with the video essay comparison, an interview with Wyatt Earp historian Andrew C. Isenberg, audio commentary by Ford biographer Joseph McBride, a video essay by Ford Scholar Tag Gallagher, Bandit’s Wager, a 1916 silent western short costarring Ford and directed by his brother, Francis Ford, featuring new music composed and performed by Donald Sosin, NBC television reports from 1963 and 1975 about the history of Tombstone and Monument Valley, a Lux Radio Theatre adaptation from 1947 starring Henry Fonda and Cathy Downs, and an essay by critic David Jenkins. Do yourself, your family, and your friends a favor. Buy the Blu-ray, host a viewing party, and hold your own debate over the success of either version. Whatever your conclusions , you will revel in one of the greatest westerns, nay, films, ever made. The Retro Set’s Libeled Lady Screening a Hit! 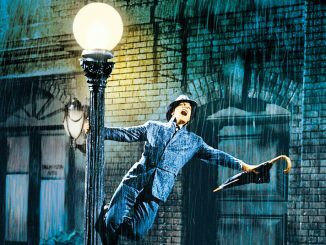 What Makes a “Classic” Film A Classic?